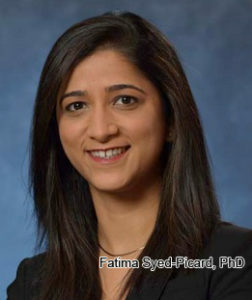 Regenerative Medicine Today welcomes Dr. Fatima Syed-Picard. Dr. Syed-Picard is an Assistant Professor in the Department of Oral Biology, University of Pittsburgh, School of Dental Medicine. She is also a faculty member in the Center for Craniofacial Regeneration. Dr. Syed-Picard discusses her research on craniofacial tissue engineering. For more information about Dr. Syed-Picard, click here.